Welcome to the highly sought-after community of Gulf Gate! This beautiful home is in the quiet neighborhood of Colonial Terrace, set on a large lot with large private backyard, spectacular Mango tree and room for a swimming pool. A perfect home for the first-time homebuyer, or the empty nester/retiree looking to downsize. Meticulously maintained and updated, this 2 Bedroom, split plan, 2 Bath home will delight and impress. Hurricane Impact windows. Beautiful Mahogany wood entry door with leaded glass and sidelight. Parquet wood flooring throughout the main living areas. The homeâs open floor plan is ideal for entertaining family and friends. 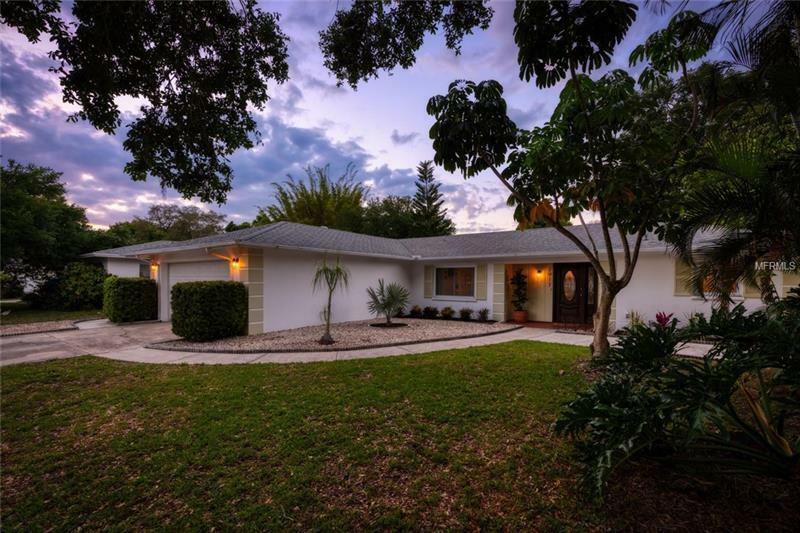 This home features a formal living room and dining room; a spacious Family Room adjacent to the eat-in Kitchen; Glassed/Screened Lanai; perfect for an exercise/yoga room. The master suite will be your sanctuary at days end. The master bath is airy and features dual sinks, walk-in shower, and a large walk-in closet. The guest wing closes off from the main living areas, via pocket door, for complete privacy. Large inside Laundry Room with ample storage. 2 Car Garage. This home has great curb appeal, too. The setting is picture-perfect and close to everything! Just under 4 miles to world famous Siesta Key Beach. A+ schools, Gulf Gate dining and Shops, Westfield Shopping Center with Costco's, Gulf Gate Library, Legacy Trail; all the Sarasota amenities your heart desires. Come fall in love with your beautiful new home!